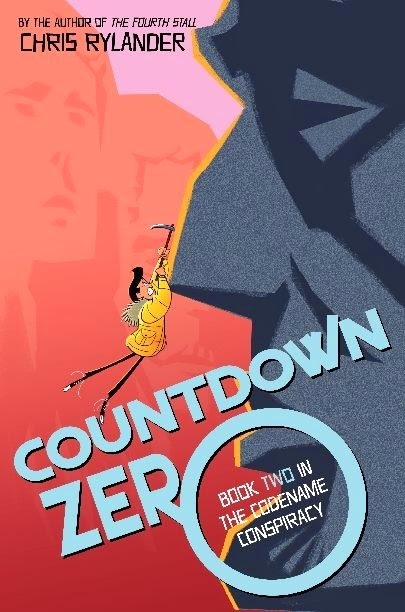 Walden Pond Press is offering one signed copy of Chris Rylander's new book, Countdown Zero, the second book in he Codename Conspiracy trilogy, to readers of this blog. 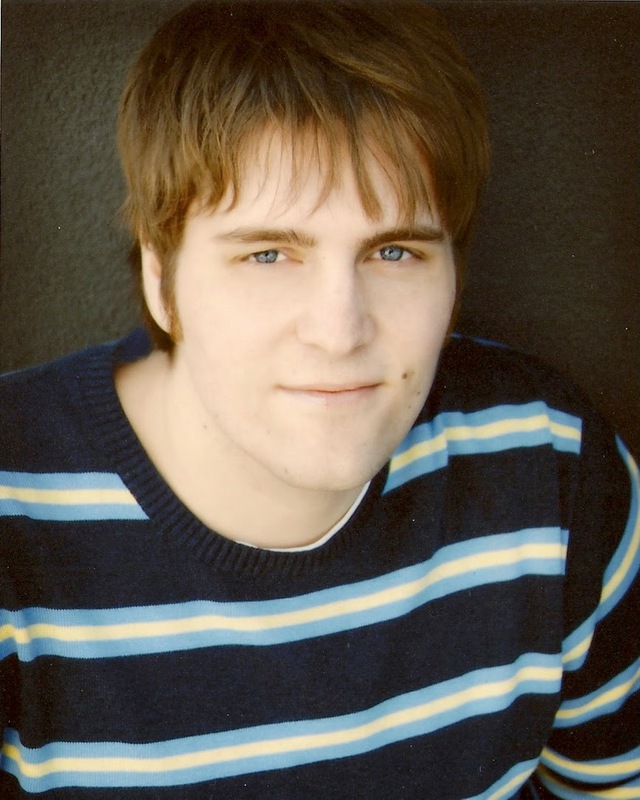 Chris Rylander is the author of the Fourth Stall Saga and the Codename Conspiracy series. A fan of brown shipping boxes turned on their sides, dance-offs to win a girl's heart, and rice, he lives in Chicago. Find Chris on Twitter and his website. A pretty solid start to a fun new YA spy series. I'm looking forward to the next book. A book many people will undoubtedly draw comparisons to the present day. An incredibly timely story. Which makes you wonder: how will history judge us based on the current fight for marriage equality? 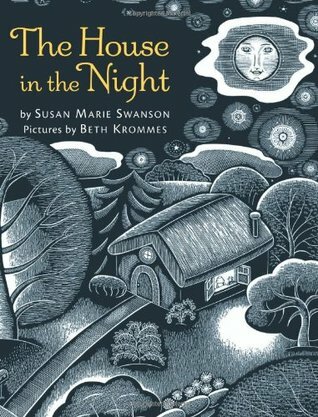 As I was reading I couldn't help but think how much the illustrations reminded me of Van Gogh's Starry Night, and wouldn't you know it... There was a place in the story where the bedroom in the house had Starry Night hanging on one of its walls. It takes about three hours to pack the rest of her stuff. I pull out holey T-shirts and underwear because why do they need that? I throw away her stacks of music magazines, piled in a corner. I'm not sure what to do about her bedsheets because they still smell like her, and I have no idea if her sent will do to Sue what it's doing to me, which is making me remember Meg in such a real visceral way – Sleepovers and dance parties and those talks we would have until three in the morning that would make us feel lousy the next day because we'd slept like hell but also feel good because the talks were like blood transfusions, moments of realness and hope that were pinpricks of light in the dark fabric of small-town life. I am tempted to inhale those sheets. If I do, maybe it will be enough to a race everything but you can only hold your breath for so long eventually, I'll have to exhale her and then it'll be like those mornings, when I wake up, forgetting before remembering. Left to pick up the pieces of her best friend's suicide, Cody goes to pack up Meg's belongings that were away at college. While there, Cody discovers a side of Meg that she never really knew: one that she is now trying to uncover as she attempts to make sense of her death. As she gets to know Meg's roommates as well as the mysterious Ben McCallister who was Meg's former love interest, Cody is left to wonder how such a bright, vibrant young woman like Meg could possibly want to kill herself. But when Cody discovers an encrypted computer file on Meg's computer that she can't open, as well as months of deleted email correspondence that she can't recover, Cody now wonders if someone else had a hand in Meg's death. 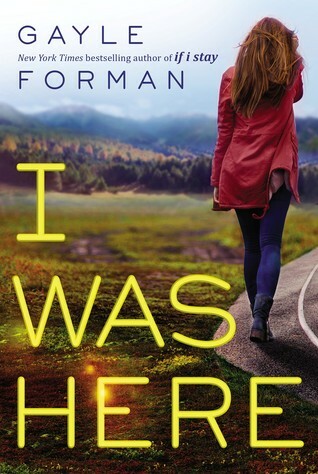 I Was Here brings a new element into the writing of Gayle Forman: that of a mystery for the protagonist to solve. I will say though that I was not as emotionally invested in the characters in I Was Here as I was in If I Stay and Where She Went, which were Gayle Forman at her absolute best. If I started with I Was Here as my first foray into the work of Gayle Forman, I'm not sure I would be ask excited to pick up her other books. It's a solid story, don't get me wrong. It just didn't leave me feeling ALL THE THINGS the way IIS and WSW did. Ten years ago on this very day, my husband and I got on a plane and moved back home. We had just spent the past three years living in Germany and traveling through Europe and now it was time to say goodbye. At the time I was elated. I went through somewhat of a depression during this time. I was severely homesick and found it difficult to fully embrace the experience of living abroad. I loved the travel though. Visiting so many different countries over the course of three years helped to open my eyes to the fact that I had been closed off to so many different ideas and learning experiences from living in my American bubble. It is why Wanderlust is a part of the theme of this blog. Because even though I wish I hadn't gone through that difficulty of being depressed and homesick, I also know that I would be a completely different person if I hadn't been granted the amazing opportunity of living and traveling in Europe. The world is such a beautiful and complex place. I seek the wisdom and opportunity to be able to see new places and learn from new people in order to understand it better. Ten years seems like such a long time ago. And also like no time at all. As much as I am enjoying this book, I will be glad when I'm done with it because every time I pick it up I get this song stuck in my head. I'm really enjoying this book. It has a very Covert Affairs/Burn Notice/Bourne Identity/any-other-spy trope-you-can-think-of-but-with-YA-characters vibe to it. I've never really been a fan of Ally Carter's before but when she talked about the premise for this book at the Scholastic event at ALA Midwinter, I was incredibly intrigued. 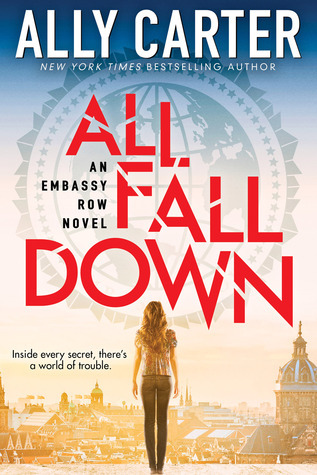 Given that Wanderlust is part of my blog title, I love that this book's setting is in a (made-up) country's embassy row. Very cool! 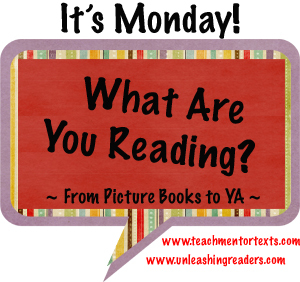 How should literacy learning be assessed? Have your voice heard in the conversation. Last night I returned home from the American Library Association Midwinter Meeting. The past few years I have watched the live webcast of the Youth Media Awards, but when I found out that this year's Midwinter would be in Chicago, a mere 4 hour drive from my house, I knew that I had to attend. Even watching the webcast the past two years, I could feel the energy and excitement in the room when the awards were announced, and wanted to feel that for myself. This year I felt it in spades. Screams, shrieks, tears, and standing ovations were the order of the day. The outcry for more diversity in children's publishing earlier this year with #WeNeedDiverseBooks felt like a call to action, and I'm happy to see that the award committees this year responded. I was elated that I had read so many of this year's award-winners and so I wanted to share a few of my reactions and thoughts, starting with the Coretta Scott King Award. 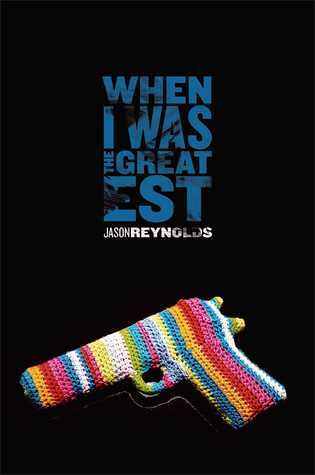 Jason Reynolds' debut novel, When I Was the Greatest, won the John Steptoe Award for New Talent and it most certainly felt like a coronation. With the passing of Walter Dean Myers last summer, one gets the sense that Reynolds just became Myers' heir apparent. 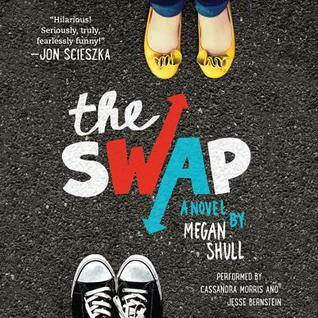 I have talked, written, and fangirled over this book many times in the past few weeks. 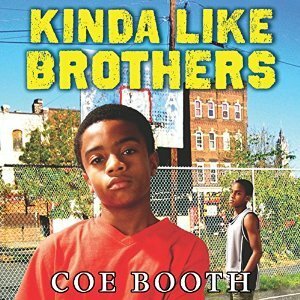 I am happy to see that publishers are finally recognizing the need to publish books like this one that show positive, counter-narrative portrayals of contemporary African American teens. I would have loved to see When I Was the Greatest also win a Schneider Family Book Award due to the fact that one of the major characters, Needles, has Tourette Syndrome and is not treated any differently (other than by his brother) because of it, but I'm elated that it was recognized by the CSK committee. 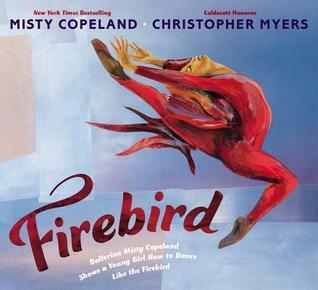 Christopher Myers won the CSK illustrator award for Firebird, written my Misty Copeland. I agree whole-heartedly with this selection. Books often make me emotional, but very rarely do I begin to tear up on page one of a picture book. That is, until I read Firebird. It wasn't just the words that moved me, but seeing them paired with Christopher Myers' emotional, sweeping illustrations that made it a perfect storm of "ways to make Beth cry." 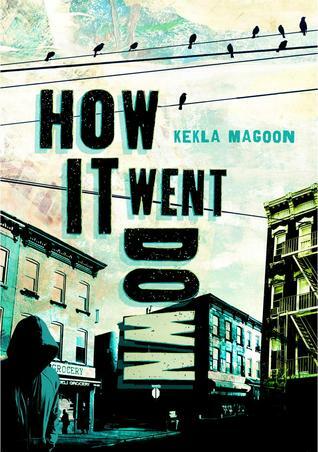 How It Went Down by Kekla Magoon won a CSK author honor and it is one of the most timely books to hit store shelves in 2014. When a black teen gets shot by a white man, accounts of "how it went down" are so disparate and divisive that it's no wonder the "real" truth is never revealed by the end of the novel. This is a book that will elicit much-needed dialogue and will challenge our own prejudices. 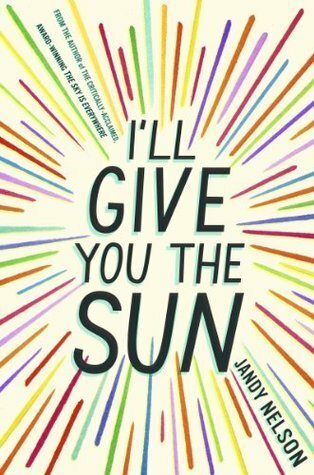 I didn't actually read the winner of the Printz Award, I'll Give You the Sun by Jandy Nelson, but with all the buzz I've been hearing about it leading up to it being announced as the winner, I'm definitely looking forward to reading it now. I am glad that this Printz Committee understood that you can be Serious Enough and also Funny As Balls. 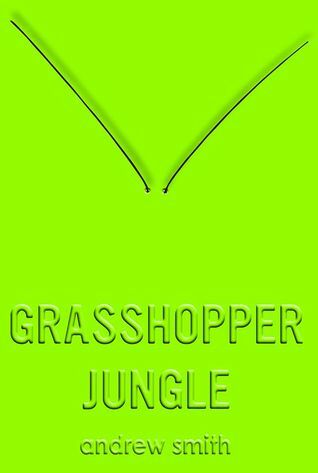 On Facebook, Andrew Smith posted the news about receiving a Printz Honor for Grasshopper Jungle by saying, "finally I get a sticker that isn't a warning." 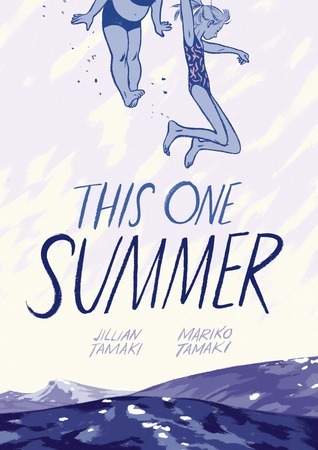 As far as This One Summer goes, I didn't actually care for it as a story, but I loved the artwork in this graphic novel. 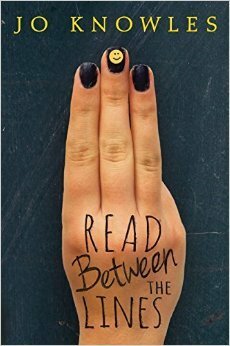 Even though I didn't love the book, I can see why the Printz committee gave it an honor. It's a book that leaves readers scratching their heads as to what it's really about and has kind of been on people's radars, but not so much that everyone has been buzzing about it. I think the Printz committee likes picking those kinds of books. OK, so the Caldecott committee picked SIX honor books this year, which is almost unheard of -- and I am proud to say I read each and every one of the books that were honored and awarded. But notice the first book listed here is also a PRINTZ honor. 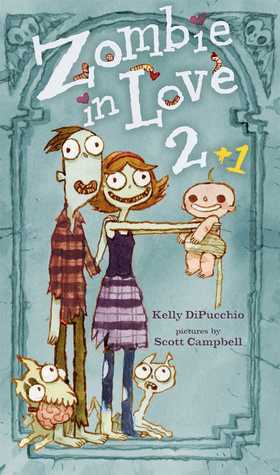 Again I say, I did not love this story, but what I DO love is that it won a flipping Printz and Caldecott honor. What does that say about what we are considering distinguished illustration for CHILDREN? 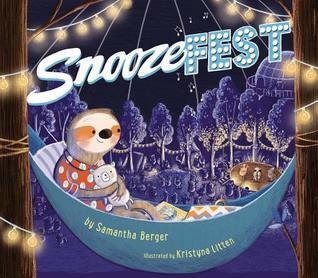 I have a feeling we're going to start seeing this book on some school and library banned book lists because parents are going to assume that since it's a Caldecott honor that it's OK for young children to read. This coming-of-age story is definitely intended for more mature readers. 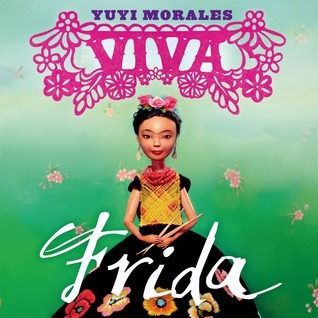 Viva Frida was on my list of hopes and wishes for the Caldecott. 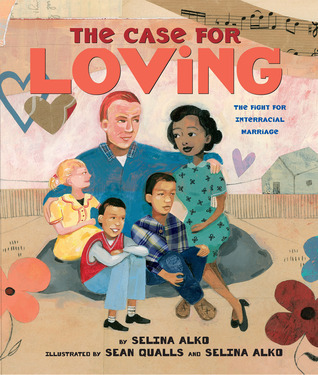 It won a Pura Belpre illustrator award, which I was fairly certain it would, but I was REALLY hoping the Caldecott committee would add some diversity to their roster and let Yuyi Morales walk away with the medal. An honor, however, ain't too shabby. 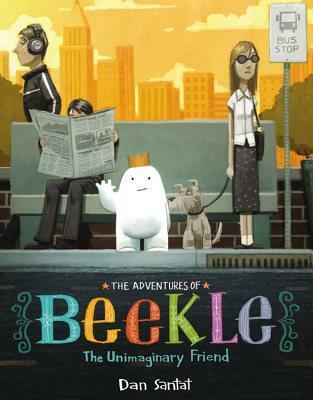 When The Adventures of Beekle was announced as the winner of the Caldecott medal, I shrieked joyously and then began to cry. Dan Santat's beautiful story of an imaginary friend waiting to find his person captures the vivid imagination and innocence of childhood. 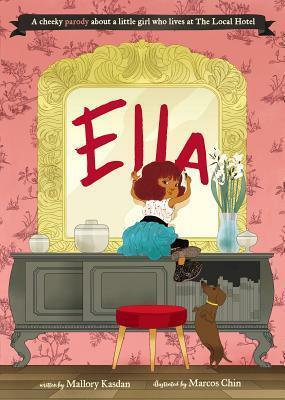 Beekle, along with Viva Frida were two picks from my recent hopes and wishes post for the ALA Youth Media Awards. Oh, and if The Adventures of Beekle winning a Caldecott weren't already emotional enough, I dare you not to cry when you see this video of Dan Santat's son and the first time he heard him say Beekle. It had already been an emotionally stirring, diversity-filled morning of award announcements. The Newbery committee now had a lot of pressure to get it right. Would they heed the call of more diversity in children's literature, or would it be business as usual? Then it was announced that there were only TWO Newbery honors this year. A murmur of disappointment pervaded the vast ballroom. 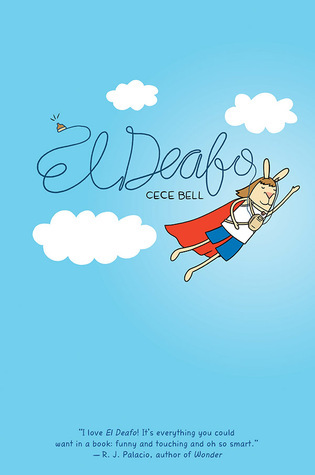 And then the first honor book that was announced was El Deafo. A graphic novel just won a Newbery honor. 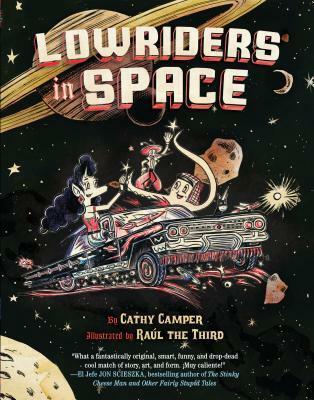 A graphic novel just won a Newbery honor. I can't stop thinking about what a BIG DEAL this is. All those parents and teachers who have told their children and students that comics are bad and they aren't real reading, they can't say that anymore. 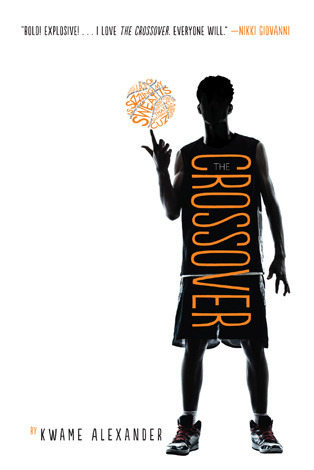 This is a historic moment for the Newbery Award and for children's literature. You knew it by the fact that this book got the loudest, most raucous reaction from the crowd. People were shocked and overjoyed. 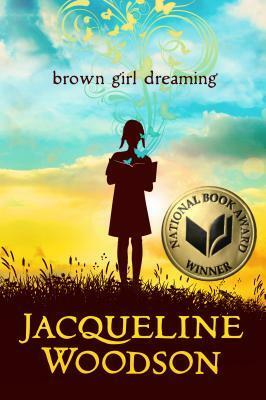 The next book to be announced as a Newbery honor was Brown Girl Dreaming. This was the book that was expected to win. And it didn't. And now the Newbery committee was probably going to pick some boring historical fiction with zero kid-appeal written by a white person. It was going to be business as usual. 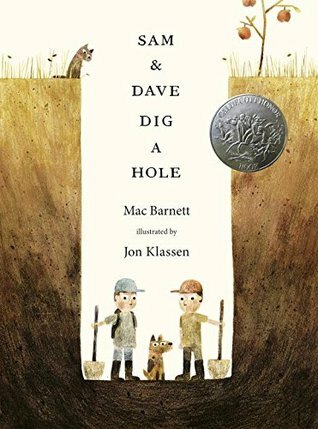 "And now the winner of the John Newbery medal for this year's most distinguished contribution to American literature for children is..."
Even though there were only two honor books this year, the Newbery committee absolutely go it right. In recent years many had feared that the Newbery had lost its way. But the shirts the committee wore into the ceremony yesterday said "trust the process." It had been difficult for readers to do that for quite a few years. But now readers can begin to gain their confidence back. Kudos to you ALA award committees. You absolutely got it right. My heart is so full. 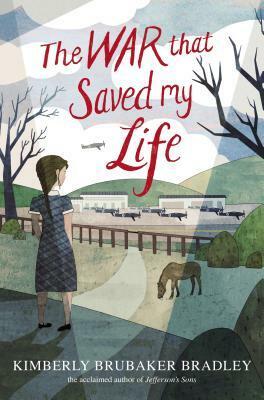 You might have noticed that the book I had been hoping and praying would win the Newbery in fact did not win so much as an honor (it did, however, win an Odyssey honor). While my heart is a bit sad by this because I think had A Snicker of Magic been published in any other year prior to 2014, it would have likely won, it was time to answer the call for more diversity -- and not just for diversity's sake, but also because these three books as well as the diverse books selected by the other award committees ARE worthy of being called distinguished. They are loved and will be loved by children for decades to come. And now we can start to make sure that children of many different backgrounds begin to see themselves reflected in these awards. So award committees of 2016, you are on notice. Let's make sure that diversity CONTINUES to be represented in these awards every year and not just because #WeNeedDiverseBooks brought it to fever pitch in 2014. Let's make sure the 2015 award season doesn't go down in history of the one and only year of diversity in children's literature awards. Happy ALA Youth Media Awards Day! I am so excited because on this very day, I will be in Chicago in the very room where the Youth Media Awards will be announced. I can't wait! On Friday I posted my hopes and wishes for the awards this year so we'll see if any of them come true. A page-turning book that I couldn't put down (or couldn't stop listening to as it were). 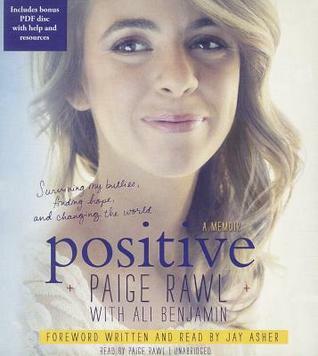 Paige Rawl's experience with bullying in middle school because of her HIV Positive status is heart-wrenching. I couldn't help agonize over how the adults in her life wronged her so so profoundly. Strange but also funny and endearing. Not something I'd usually think to describe a book about zombies.